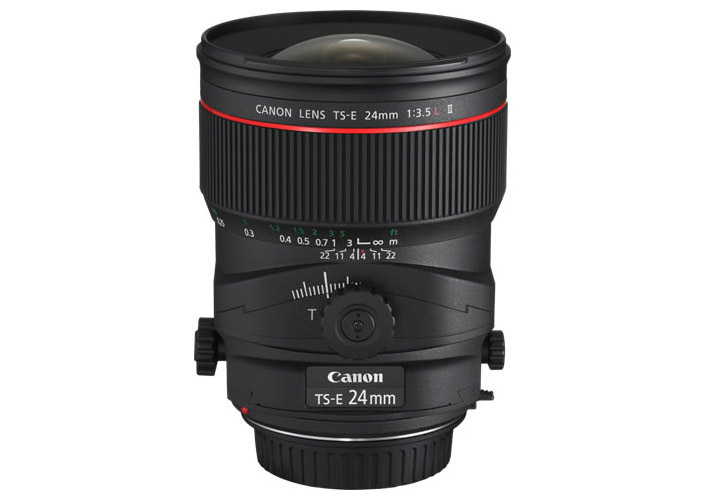 In 2009 Canon introduced two remarkable new lenses - the 24mm TS-E II and the 17mm TS-E. I had long wanted to try out a tilt-shift lens for landscape photography and finally I pulled the trigger on the 24mm version. This will just be a thoughts and comments article not a technical review - there are plenty of those on the net such as the excellent one from The Digital Picture. A great description of how a tilt-shift lens can be used, done by a great exponent of these lenses Peter Hill can be found here on the Redbubble site. I chose the 24mm version of the lens over the 17mm for two reasons. Firstly the 17mm lens has a bulbous front element that makes it impossible to fit my Cokin filter holder on and even though there is now a filter holder system available that would suit it I would rather not buy any more bits and pieces to add to my kit bag. The second reason is that with the shift function of the lens it becomes easy to stitch two or more images together and effectively achieve a field of view at least as wide as the 17mm lens. The first thing to say about the physical aspects of this lens is that the build quality is amazing. There is something seductive about high quality lenses and this is one of the best. With such a complex lens that has both tilt and shift functions plus a rotation function for each movement, Canon have done an incredible job designing and manufacturing this lens. There is nothing loose or sloppy, the movements are precise and butter smooth and the construction is solid and heavy. I expect to get twenty years or more work out of this lens as I doubt I will ever sell it. Yes its quite heavy for what is a 24mm lense but that's the price you pay for high quality and good functionality. Apart from the functional features of this lens it has also changed the way I shoot somewhat. This is a manual focus only lens and because I use the shift function a lot to create digitally stiched images, manual exposure is the order of the day to maintain equal exposure across all images used in the stitch. Previously I shot mainly in Aperture priority and lazily used the Autofocus of whatever lens I had on. With this lens I have had to get used to using the magnification function of liveview to ensure focusing is on the money. Going to all manual focus and manual exposure has actually been quite painless and I wish I had done it before! The above pic was taken in the Valley of the Waters in the Blue Mountains and shows the sort of effect that can be achieved with the tilt function. In this case I had the lens rotated so that the 'tilt' function worked side to side then dialed in a few degrees of tilt to narrow the depth of field centred on the overhanging branch. I also combined this with the shift function to stitch two frames vertically. The ability to quickly shift the lens and take two or three frames in order to make large megapixel stitched images I think will be a big plus for me. It is possible of course to create stitched images using regular lenses but the images need substantial software distortion correction to align the images and this often results in visible joins in my experience. With a tilt shift lens you don't rotate the camera to pan the view you want to get you just shift the lens so that the sensor is capturing another portion of the large circle the lens has. This means there is no differences in distortion or perspective between the images and the software used to stitch them can create perfect image blends much easier. I look forward to using this lens as the mainstay of my landscape photography for many years to come and highly recommend it.